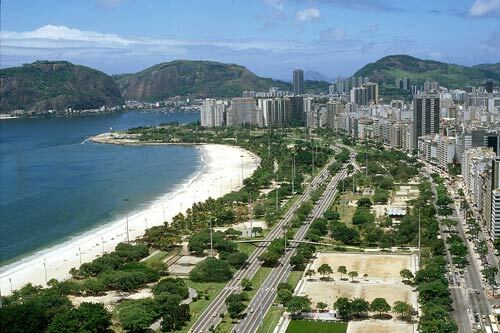 Botafogo Beach and Flamengo Beach are both very lovely to visit during the day. The views are spectacular and sunsets amazing and very romantic. This half moon bay looks out over the lovely Urca Peninsula and Sugar Loaf Mountain. Colorful high-end yachts moor at the Rio de Janeiro Yacht Club. The beach holds several concerts and other open air shows. Sports are also very popular on this beach. A bicycle and jogging path are also available for those wishing to stay in shape. 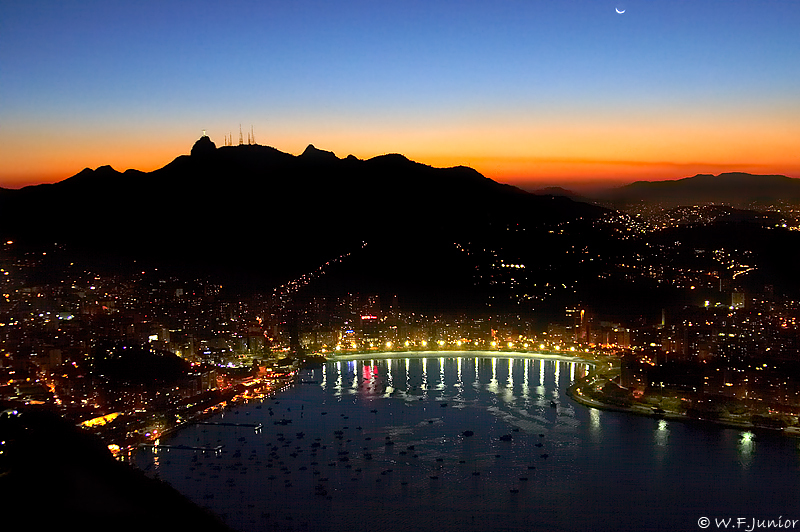 Botafogo Beach offers the best view of Sugar Loaf and even being unfit for bathing, worths the visit. On the eighth floor of Botafogo Praia Shopping Center there is a wonderful vantage point from where you can take the best pictures of the bay and the Sugar Loaf. Enjoy lunch at Churrascaria Estrela do Sul in Botafogo Beach or at Armazém Carioca or try a Starbucks Coffee in the Botafogo Praia Shopping. Located between downtown and Botafogo Beach, Flamengo Beach sits on Guanabara Bay and looks out over Sugar Loaf Mountain. Parque do Flamengo runs along the beachfront and is graced by beautiful gardens designed by Roberto Burle Marx. The park also houses the Museum of Modern Art and a tribute to the dead soldiers of WWII. Vendors sell the cheapest beer and the tastiest red snapper available. This is also one of the best beaches to enjoy the sunset. There are several hotels around the Botafogo / Flamengo beach area including the Florida Hotel (Flamengo) and Caesar Business (Botafogo) and many hostels. The Rio Sul Shopping Center, the biggest and most complete shopping mall in Rio’s South Zone, and Botafogo Praia Shopping Center are the major shopping malls in the area. To get away from the sand and enjoy a bit of greener stop in at the Aterro do Flamengo Park, Guinle Park or Chacrinha Park. 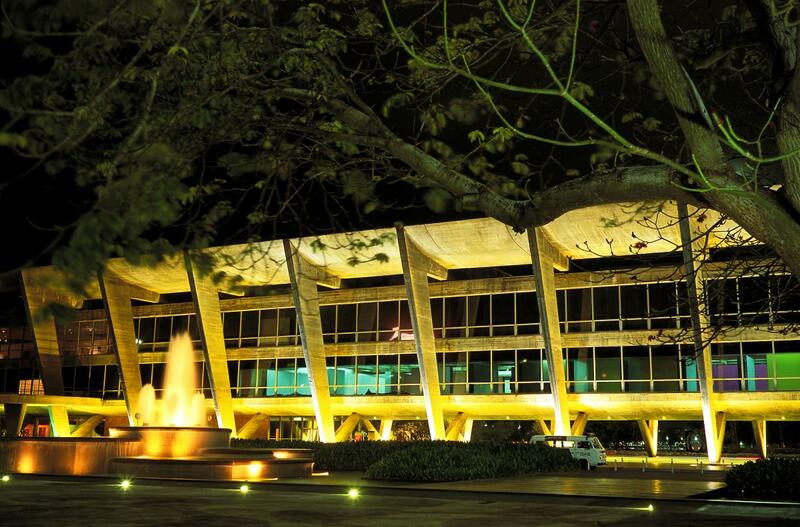 Spend an intellectual afternoon at the Indian Museum or the International Museum of Native Art. To taste some of the native cuisine you can stop in at Porcão Rios Churrascaria at Flamengo Park. Best days to enjoy the Flamengo Beach and Park is during the weekends specially on Sundays. The main avenues are closed for leisure, so the areas to practice sport, walk are even bigger, not too crowded. 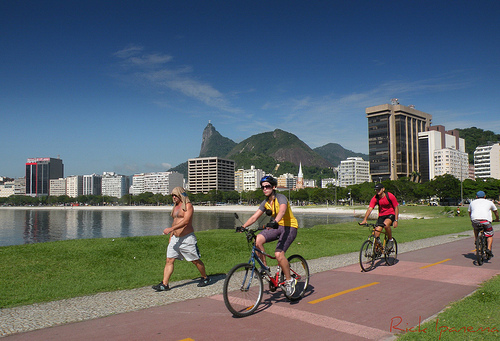 If you are a bike rider lover you will enjoy go all to the end of the Flamengo Park, at the cycle path, and reach the back of Santos Dumont airport. From there you get another view from Rio, that not many people are aware of.